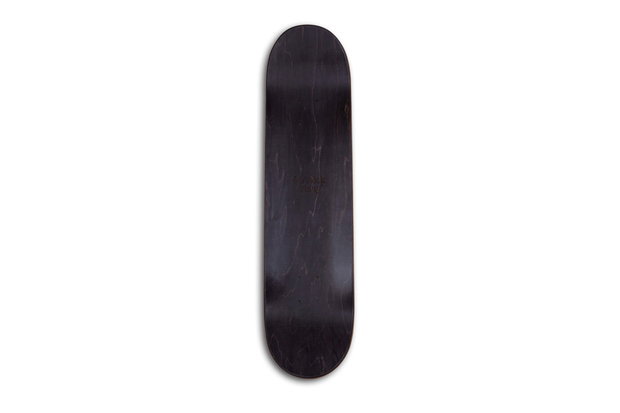 British design label 4 o’clock Friday have produced a limited number of this graphic skateboard deck, available now through their online shop. 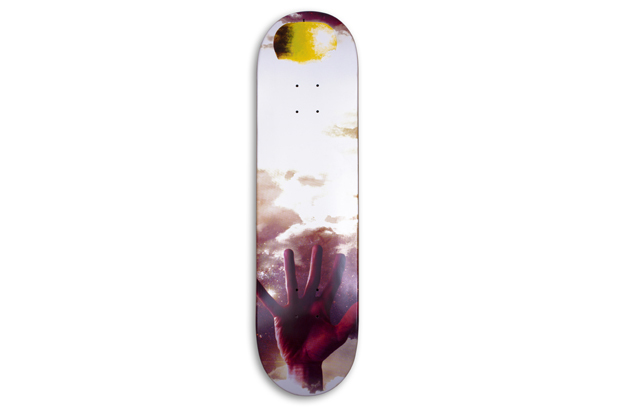 Taking inspiration from both renaissance art and science fiction, designer Chris Irvine produced this graphic of a hand reaching towards an apple in the sky specifically for the boards, which, although fully skateable, would look great on the wall too. Pick one up from 4 o’clock Friday now.